What do YOU expect from a sales lead generation company? There are different ways to define the best sales lead generation services. Look first at your business needs before making a decision on which company to use. Do you want to be inundated with leads? Before answering, carefully consider your definition of a lead. Some sales lead generation companies can provide hundreds or thousands of leads, but will those leads actually turn into loyal customers? What is a qualified lead? For your business you should have a good definition of a qualified lead. For example, is the lead interested in purchasing in less than three months? Does the lead fit your location, revenue, or other demographic criteria? Is the contact information for the lead completed and verified as valid? 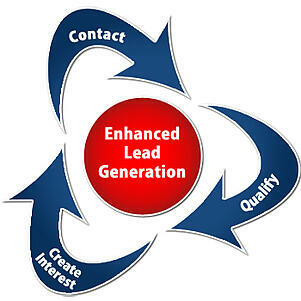 Your lead generation company should help you to clearly define a qualified lead for your company. How much can your sales team handle? Look carefully at how many leads your sales department processes today. Then evaluate how many additional leads they could possibly handle. You may want to add more staff or use better processes depending on your particular needs. Communicate to your lead generation firm on the number of leads your team can handle. Are your expectations realistic? Look carefully at your growth plan and how that relates to leads. If you are expecting your sales lead generation company to provide thousands of leads a week, can your business actually handle that volume if a third of those convert to customers? Which online techniques would work best for your business? Your lead generation partner should be able to explain all of the various options to use for online marketing including search engine optimization (SEO), pay per click (PPC), content management, blogs, social media, email and more. Discuss all options with your lead generation partner to determine the best strategy and timeline. The best lead generation companies should be eager to explain how they will work with your business and align the online marketing strategy with your business goals to make sure you receive the right number of qualified leads to generate success. For more information please call us directly or click the button below and we will contact you. Thank you.